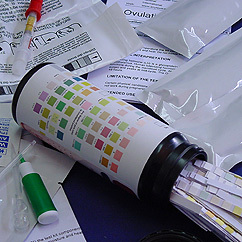 The use of home test kits have been trusted and utilized for decades, and this easy, affordable and private method of checking certain conditions have been extended with advances made in testing methodology and for this reason we can offer a selection of these assay devices to our clients. We believe that people have the right to conduct rapid screen tests in the privacy of their home and we therefore protect the privacy of our visitors and clients and will not make any information available to anybody unless so required by law. We ship all products in plain envelopes and credit cards are billed as Sallamander Concepts, our holding company, which does credit card processing for a variety of businesses and use a secure server.